"Everyone has been wonderful and extremely helpful from my first contact with The Joinery, to the pictures that were sent throughout the project, to final delivery. Your Customer Service team is excellent!" When we describe our craftsmanship as “Furniture for Life,” we mean it. At a time when new residential furniture frequently ends up in a landfill within a decade, The Joinery stands by our lifetime warranty. And even that understates its true life expectancy – we intend for our products to have a longer lifespan than the trees from which they originate. 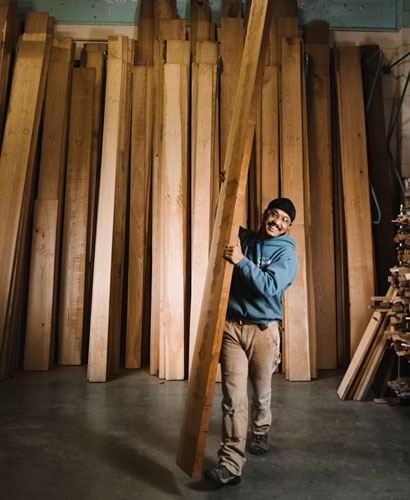 You can fully expect our handcrafted furniture to be enjoyed for generations to come. If a piece ever needs our attention, we will work with you to restore it to its original quality. The Joinery is proud to offer a lifetime warranty on residential furniture for the original owner of the piece. The warranty covers any defects that occur with the furniture structure or wood materials. For specifics on warranties and returns visit our Purchasing page.